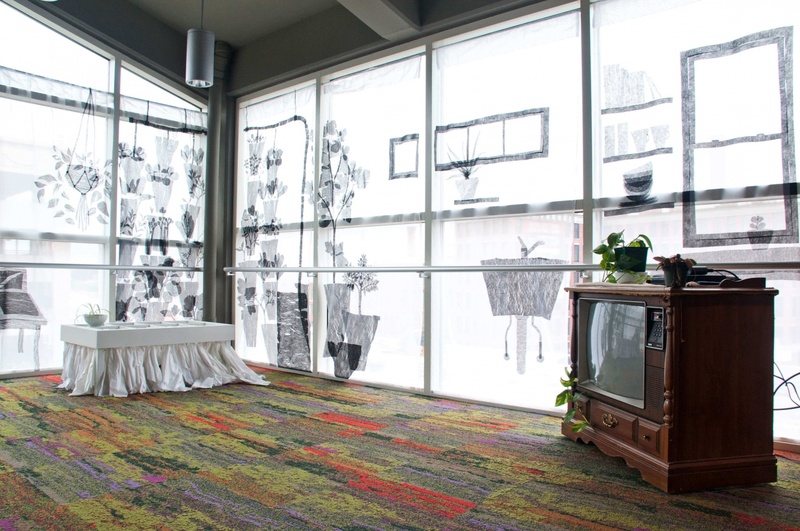 In-Between Occupancy depicts an idealistic scenario where people and plants merge into a symbiotic relationship within the home. 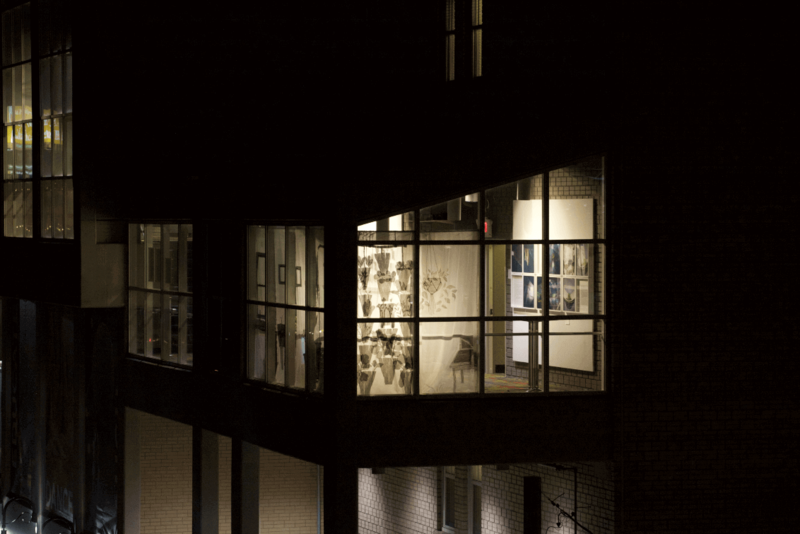 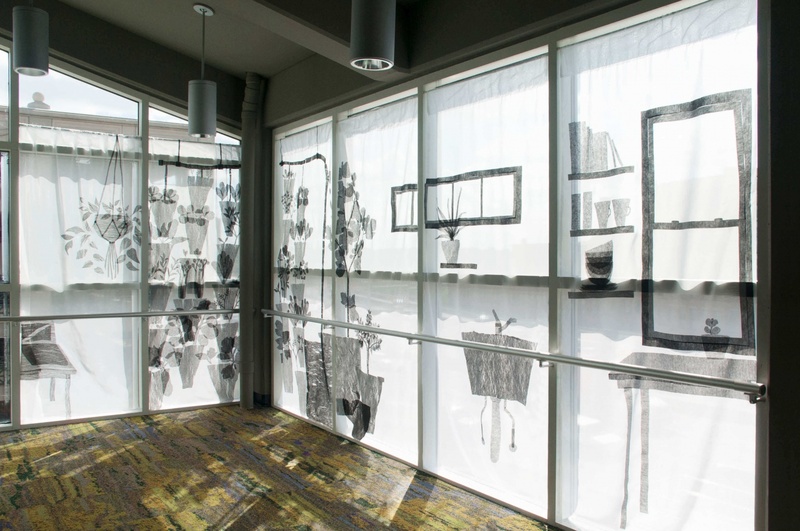 The fabric illustrates the items on the walls and in the surrounding areas – including a small vertical farm, chair, table, laptop, windows, sink, etc. 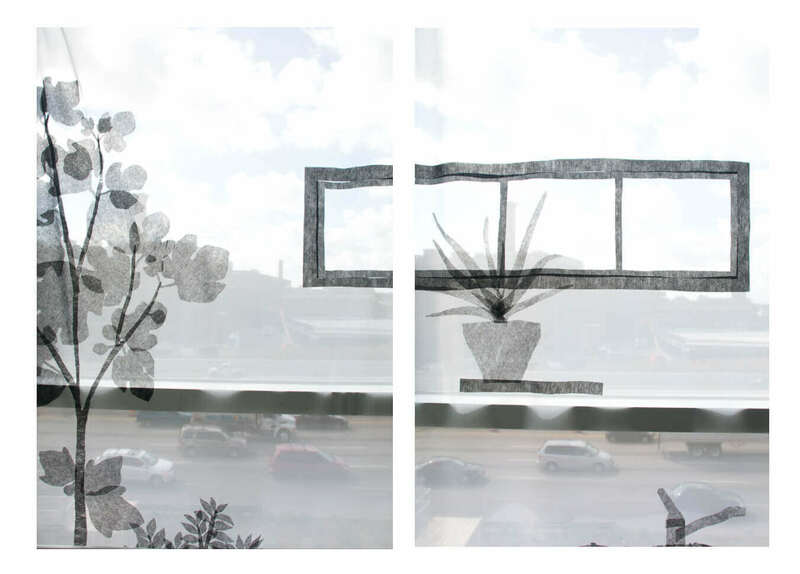 It is part of a domestic setting which accepts and embraces plants as part of someones life and lifeline, indicated by the edible plants grown for consumption, while juxtaposing against the endless stream of cars visible outside. 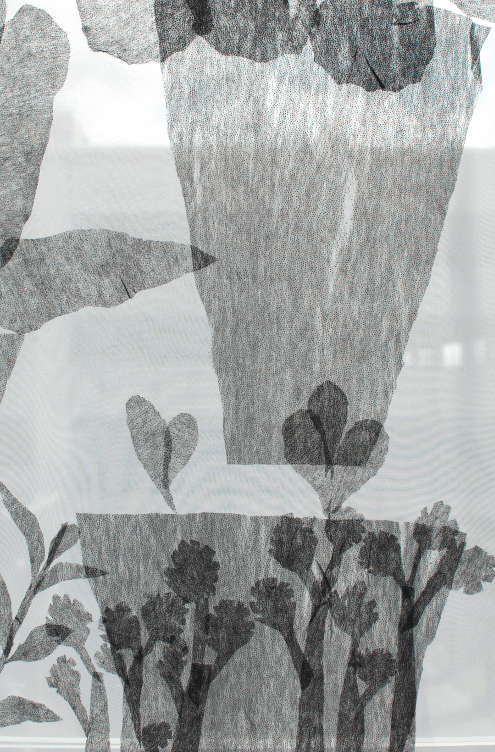 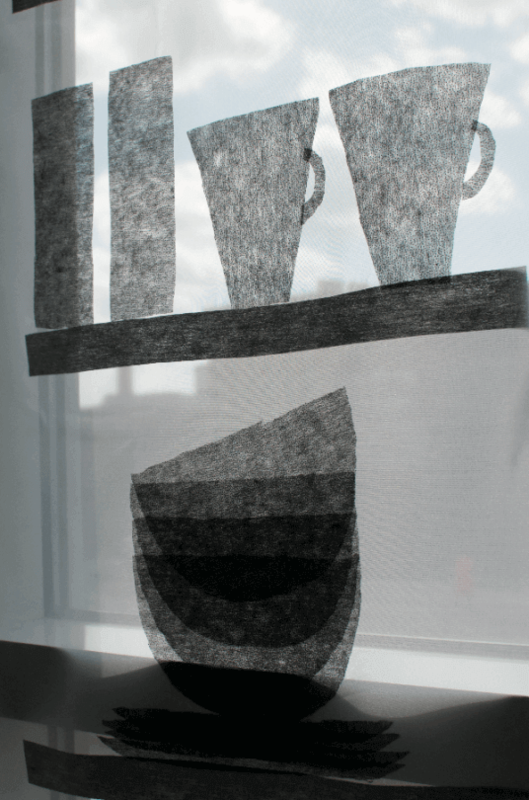 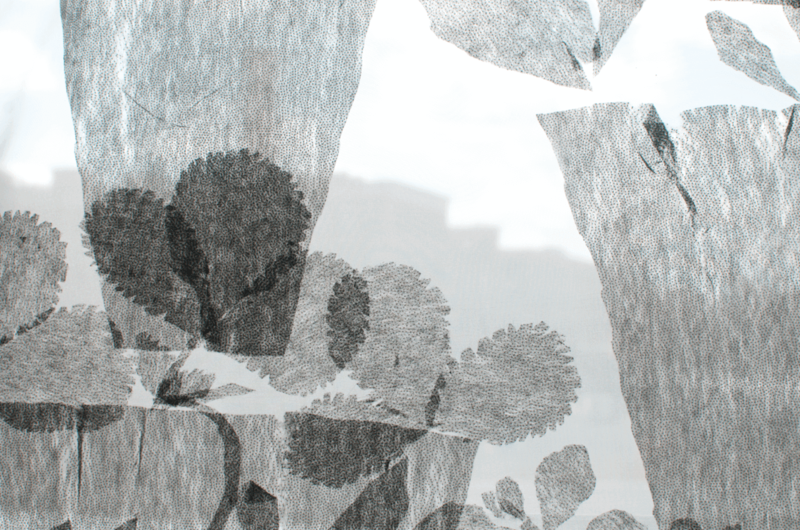 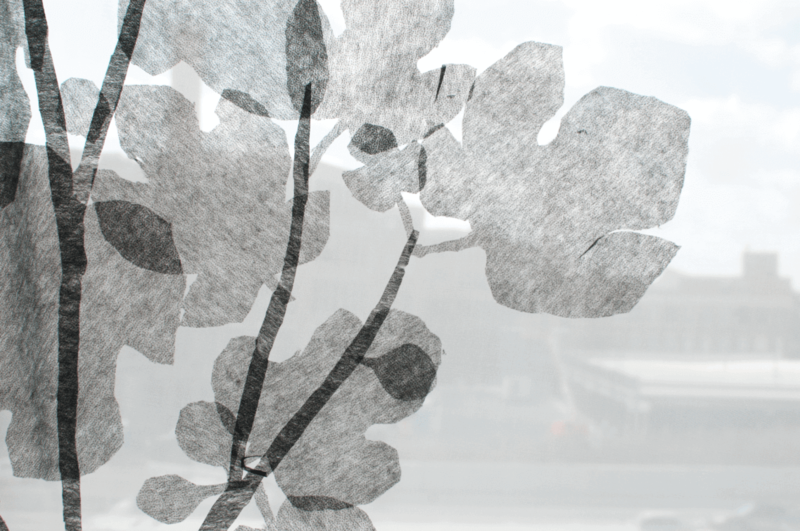 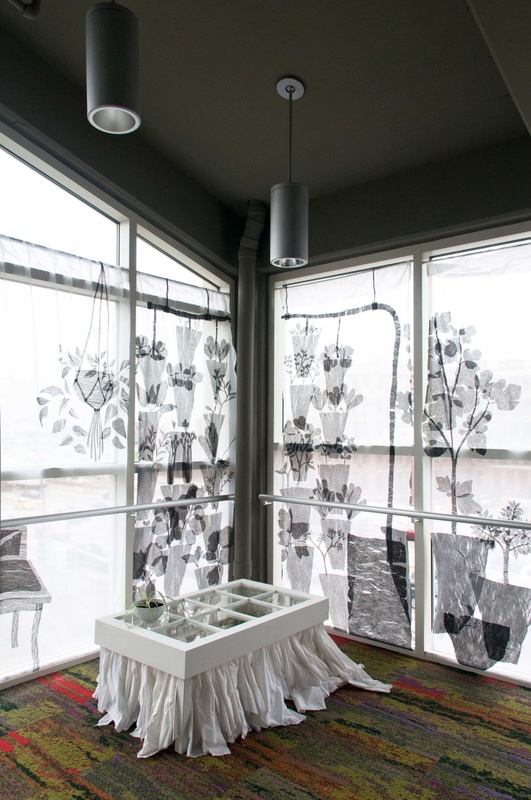 Each silhouette was hand cut and incorporated into the curtain.